Cinnamon is a popular spice used around the world for its pungent aromatic taste and its numerous medicinal properties. Cinnamon refers to the outer bark obtained from several species of tropical trees that grow in Asia. Most of species are used in traditional medicine but they are not all identical. 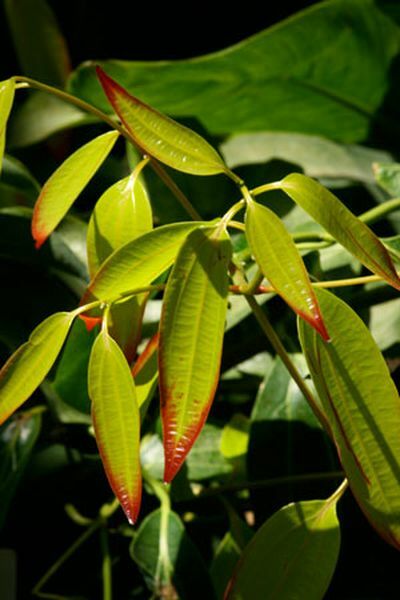 Ceylon cinnamon, which is often referred to as "True Cinnamon", has two correct scientific names for the same plant: Cinnamomum verum and Cinnamomum zyelamicum. Ceylon cinnamon is the most desired species of cinnamon and also is very expensive and therefore is not the most available form in the market place. Rather the cheaper forms of cinnamon from China, like Cinnamomum cassia, and other Asian countries are typically available. Although all forms of Cinnamon have been used medicinially, there are safety concerns associated with the cheaper Chinese cinnamon because it contains high amounts of coumarin that can cause liver damage. Consuming these "false" cinnamons daily in the form of baked goods or natural health product supplements could be sufficient to cause liver damage in some individuals. Ceylon cinnamon contains low amounts of coumarin and therefore is the safest form. All varieties of cinnamon are rich in essential oils making them useful as carminatives and antispasmodics to aid digestion and decrease cramping pains. The essential oils have documented antimicrobial action against a variety of bacteria and fungi. Also it contains tannins making it a useful astringent and hemostatic. For all these reasons it can be used for infectious diarrhea to help reduce cramping pain and urgency and also to reduce blood and mucous in the stool. Modern research has been focusing primarily on cinnamon's antidiabetic properties. Several studies show that different forms of cinnamon improves insulin sensitivity and decrease post-prandial blood glucose levels and HbA1C levels in patients with type 2 diabetes. It is also rich in antioxidants and may lay lower cholesterol levels making it useful in prevent heart disease. In many cultures, cinnamon is tradionally used alone or herbal formulas for to treat menstual cramps with excess bleeding. Several small trials have confirmed this use. Furthermore it may improve irregular periods espeically in women suffering from polycystic ovary syndrome (PCOS).